This Price is for the Box of 10 Dressings. 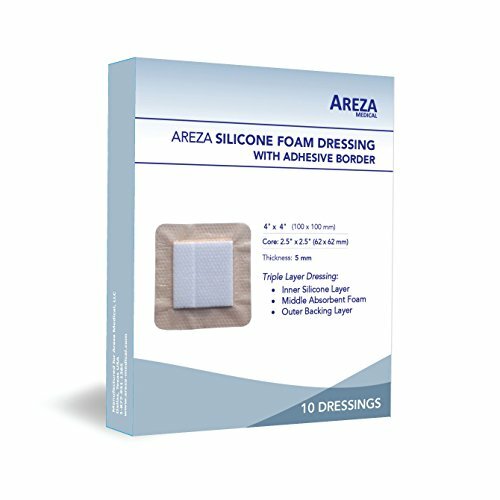 Expiration: 2 years after purchase; Sterile, Each box contains 10 dressings of 4" x 4" adhesive (bordered) silicone foam dressings. The central ultra absorbent-foam pad (core) which is also covered with silicone is 2.5" X 2.5". Only the silicone layer touches the wound. The foam core does not contact the wound directly. High Quality Dressing. Features: -Reduces the risk of maceration and leakage -Self Adherent (no secondary dressing needed) -Physical barrier to infectious contamination -Maintain its integrity during use - Low sensitization -Pain free removal with no trauma. The products is manufactured for and distributed by Areza Medical, Dallas, Texas. 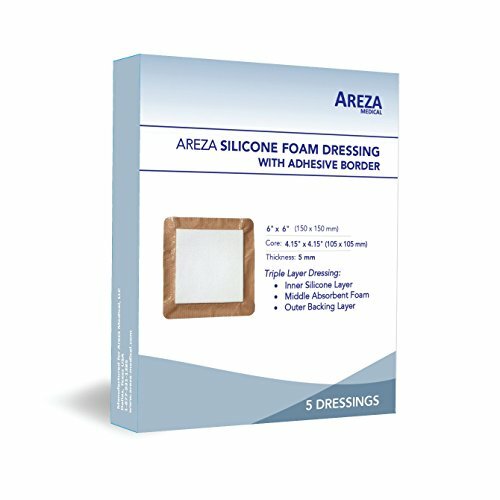 Expiration: one to two years from the purchase date; Sterile; Each box contains 5 pads of 6" X 6" adhesive (bordered) silicone foam dressings. The central pad ultra absorbent-foam (4" X 4") is completely covered with fenestrated silicone and is 4" X 4". The foam pad is not in direct contact with wound surface. Only silicone layer is in direct contact with wound. High Quality Dressing. 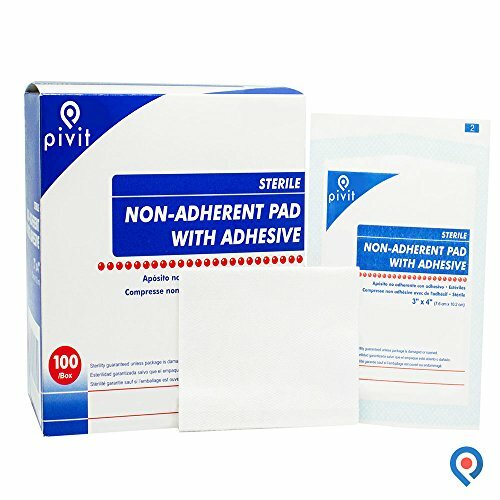 Features: -Reduces the risk of maceration and leakage -Self Adherent (no secondary dressing needed) -Physical barrier to infectious contamination -Maintain its integrity during use - Low sensitization -Pain free removal with no trauma. The products is manufactured for and distributed by Areza Medical, Dallas, Texas. PIG Grippy Industrial Mat. 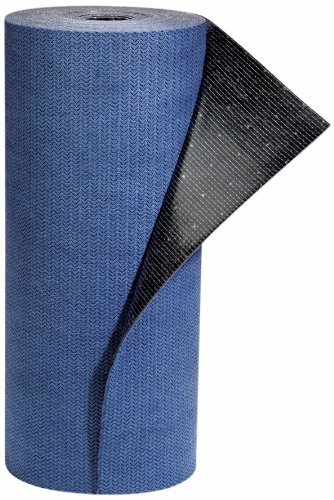 The only absorbent mat with Grippy backing stays put no matter what! Specially formulated, full-coverage adhesive backing holds tight but peels up easily; eliminates the need for tapes and trays. 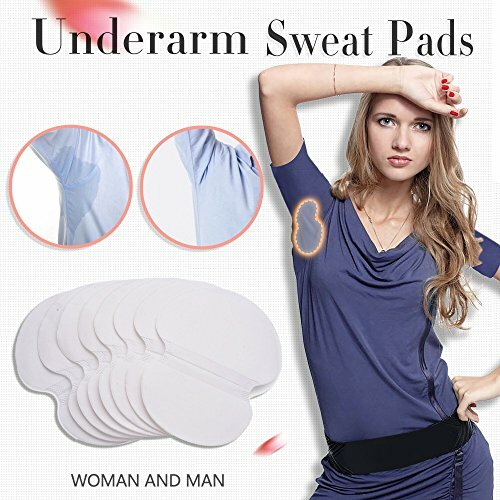 Our Product: Voerou Underarm Protection pads prevent those annoying underarm perspiration sweat marks that come to appear throughout your day.Our pads are the perfect solution. They can be used every day or any other time when you need that extra shield of protection. 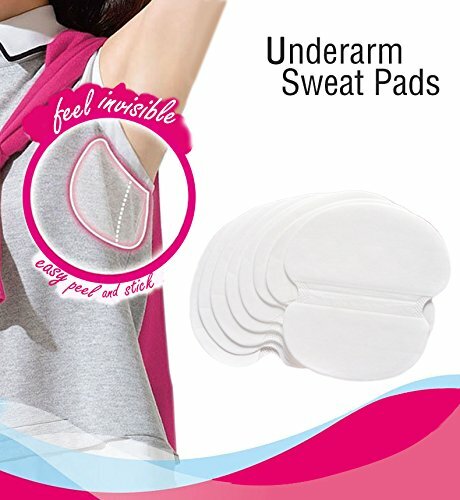 Simply apply the pads to the inside of your clothing underarms and the pads will absorb perspiration and moisture so that both skin and clothing remain dry. This means the end of clothing stains as well as dry underarms. 30 Pairs/60 Pack packaged conveniently for easy use. Perfect for travelling or when you're on the go. 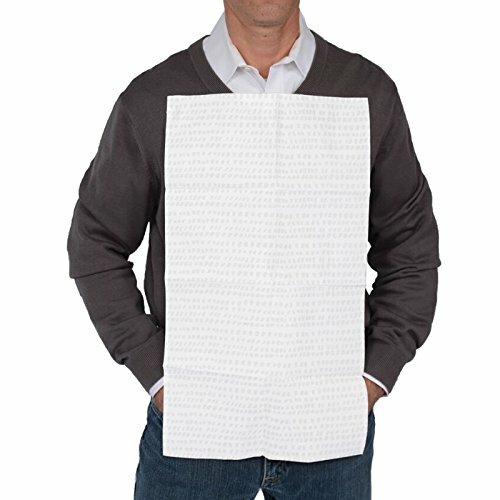 Features: 60 Pack / 30 Pairs Eliminates Visible Sweat Marks Highly Absorbent and Ultra-thin Discreet and Non-visible Soft and Comfortable Extra strong Adhesive Protects Clothing Hypoallergenic Minimize Odours Men and Women Disposable Size and Material Weight: 2.5g Size: 135 mm L x 120 mm W ( Broad Side ) 110 mm W ( Narrow Side ) Packaging: 60 pieces per box, 30 pairs sealed in bags Color: White Material: Soft Breathable Non woven Fabric, Absorbent Air-laid Paper, Protective Waterproof Cast Film. Contents: 40 Hat Liners - SUPER VALUEEnd-to-end length of each: 9.25" (23.5cms)Height: 1.38" (3.5cms) Do you dread hot months because your sweat more? Perspiration can lead to short- and long-term stains on hats - and it's uncomfortable! These Disposable Hat Liners protect you and make you feel dry, comfortable and confident all day.Simply peel and stick the pad on the inside of your hat and you're ready for a sweat-proof day! The liner is made of a highly absorbent material that collects moisture and stores it. The Pad is designed to wick and store quite a bit of perspiration, but if you tend to sweat excessively, especially in the summer months (it's common), you may consider switching out the sweat pad in the middle of the day. Just toss the old one and apply a fresh one.Are you ready to feel more comfortable every day? Try the Hat Liners today! We offer a 100% satisfaction guarantee, so your purchase is risk-free! 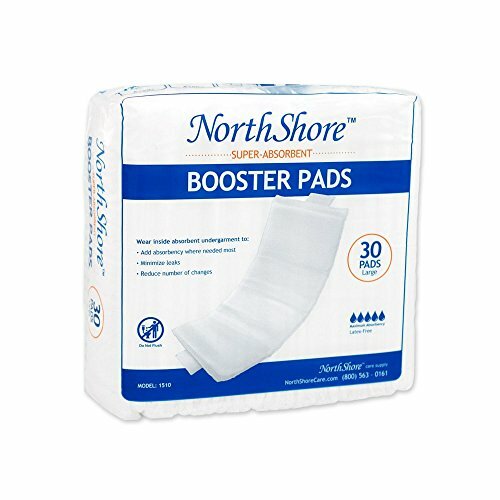 NorthShore's Booster Pad diaper doublers are designed to extend the life of diapers by adding absorbency which is especially useful at night. These soft, flow-through pads feature our Microsorb lining that is designed to fill to capacity and then pass additional fluid into the diaper or pull-on. It is softer and slimmer than most other booster pads yet features advanced absorbency and odor protection. It economically extends the use of any diaper while keeping skin drier, free from rashes and reduces linen changes. Contains super-absorbent polymers that lock away wetness into odor-free gel. Latex-free. Do not flush. Made in USA with USA & Imported Components. Note: Package design may vary.